The only other poster I recall having one of these is Koutouzoff so would be interesting to see a movement pic of his watch. Oh, wow! It's currently listed in the esteemed comrade I. P.'s collection. Dash has a version, I believe. It's listed as 24 hour 21 jewels so.....https://mroatman.wixsite.com/watches...aItem-iq8saiy7. 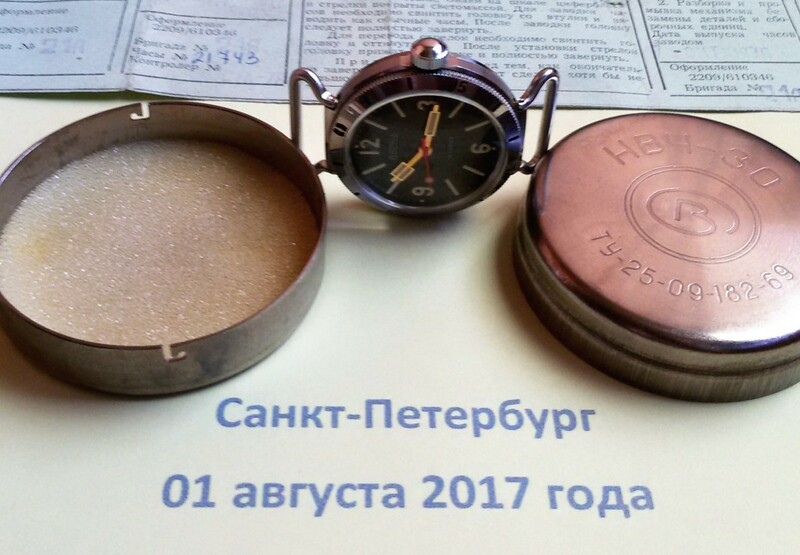 Unusual 1st Moscow Watch Factory deck watch spotted on Etsy. 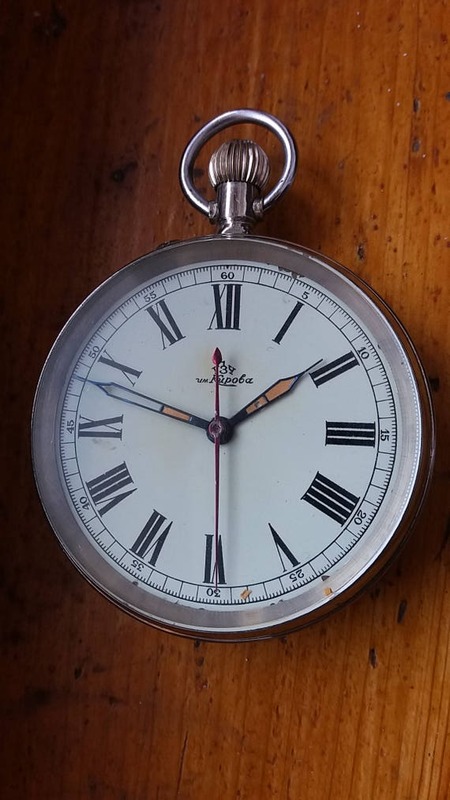 Early 1st quarter of 1951 movement without the Geneva stripes inside. IF its legit, i dont know ive never seen it before. Last edited by dutchassasin; August 6th, 2017 at 23:08.
mariomart, bpmurray and elsoldemayo like this. schnurrp, rcapiloto and oldfox like this. 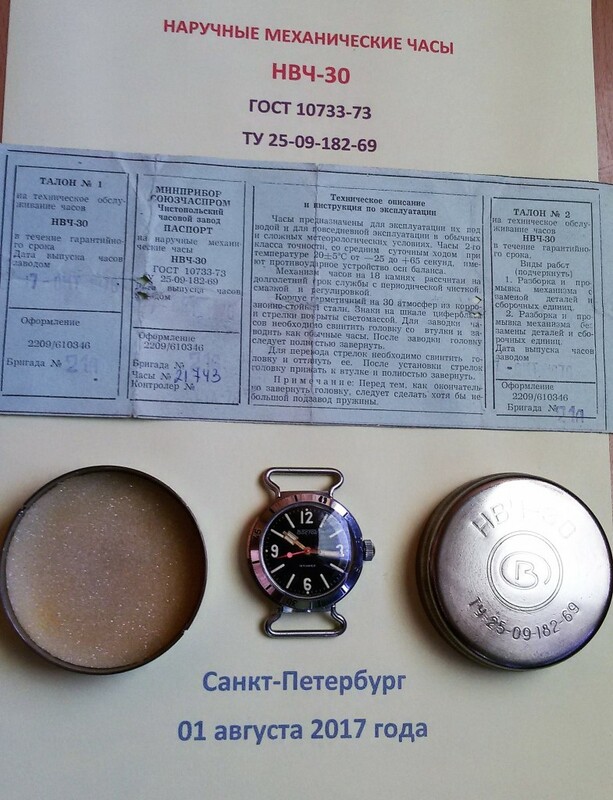 This one wasn't around long: NOS 2209 Wostok/Vostok Amphibian 200-meters Diver made in USSR mit [email protected] | eBay. It is a fairly convincing "NOS" example from 1985 and has a flat crown. Some of us wondered if this crown was authentic since only the round crown is clearly found on catalog examples. Last edited by schnurrp; August 7th, 2017 at 12:07. The unusual part is the dial, not the movement. Guess who took that one? Given the general conditions, the presence of matching papers and the seller's reputation, I'm pretty confident the crown is original. Possibly the year of production plays a role on that detail, as here's another fine example in roughly the same status (NOS with B&P, but a few storage marks) with a domed crown, which dates back to 1983. Good eye, I didn't notice that. I still like the round crown better, but this is good evidence that both are authentic. Good for you, comrade, I gave it some serious consideration. This group from a demi-catalog from '83? appears to picture one with a flat crown that you wouldn't expect, upper right. I am/was fairly comfortable believing that all paddle hand examples should have the round crown. Could be a distortion in the picture, though.